Most of us instinctively know we tap only a fraction of our potential. My work uses hard science to unlock “better thinking” for all the possibilities–the growth, the change, the love–that is inherent in you. While studying, working, and teaching at Harvard, I have come to believe there’s an art and science of possibility—that we can be the architects of our own brains. Allow me to show you how. 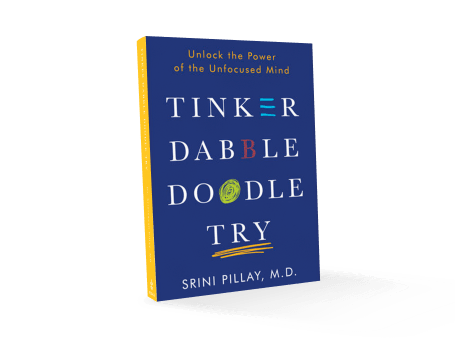 Tinker Dabble Doodle Try offers a revolutionary way to become a sharper thinker and get things done—in the boardroom, living room, or classroom—by harnessing the brain’s ability to wander. Life Unlocked Move past the things that limit you, and truly unlock your potential-and your life. Life Unlocked draws from cutting-edge research in human psychology and neuroscience to illuminate the ways in which you can overcome any fear that is inhibiting your movement through life. 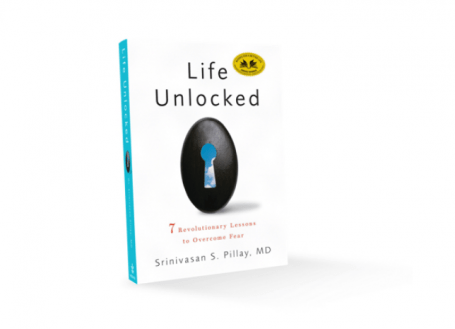 Explore the unexpected benefits of unfocus in Dr. Srini Pillay’s newest book. Stop letting your unconscious brain get in the way of your progress—like an annoying pop-up screen. Sign up for a regular dose of Dr. Pillay's unique insights and practical tools. What's stopping you?